Meth mouth refers to the tooth decay and gum disease that people who use methamphetamine may experience. The user's teeth appear stained, black in color, or may even be rotting. This may be problem for both long-term users and for people who have only used the drug for a short period. It is an unattractive and unhealthy consequence of using methamphetamine that in some cases leads to tooth loss. There are a few treatments that can help to correct or reverse the existing damage. What Does Heroin Do to Your Teeth? Methamphetamine is acidic. When meth is smoked or snorted, it may wear away at the protective enamel on the teeth, and this leads to damage. Another theory about the cause of meth mouth has to do with the way meth affects the user's body when it is ingested. Once the drug hits the bloodstream, it causes blood vessels to shrink. If the blood vessels leading to the mouth and jaw region are repeatedly starved of the blood needed to keep them healthy, the vessels can shut down and die. The American Dental Association explains the tissues in the mouth can also decay as a result of meth use. People who use meth may experience xerostomia, or "dry mouth." A certain amount of saliva is necessary to keep the mouth healthy by neutralizing the acids that are present in this part of the body. Without an adequate amount of moisture, the acids will attack the teeth and gums. Weak spots will develop, and this can lead to cavities. Meth users may experience cravings for foods and drinks containing a high amount of sugar. Eating or drinking sugary substances also increases the likelihood of tooth decay. Combine this type of unhealthy diet with a lack of brushing and flossing and developing meth mouth becomes much more probable among users. Because the effects of the drug last for 12 hours or longer, it is believed this may create longer periods when users are not likely to clean their teeth. The key to successful dental treatment is stop using the drug. 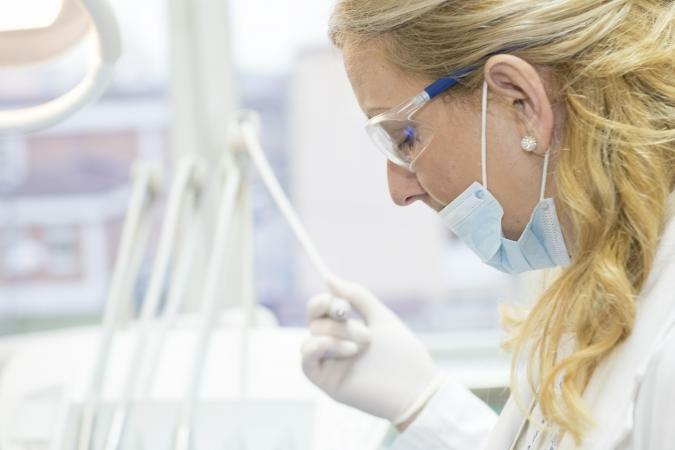 For each patient, a thorough medical and dental history and complete examination must be performed. In some cases, meth mouth can be treated if the user sees a dental hygienist. The hygienist will apply concentrated fluoride to the teeth to attempt to slow down the tooth decay. Chlorhexidine may also be applied to the teeth as another way of slowing down the decay. Once the course of treatment has been completed, a dentist will need to determine whether or not the teeth can be restored. In severe cases of meth mouth, users will often require advanced restorative or prosthodontic treatment. 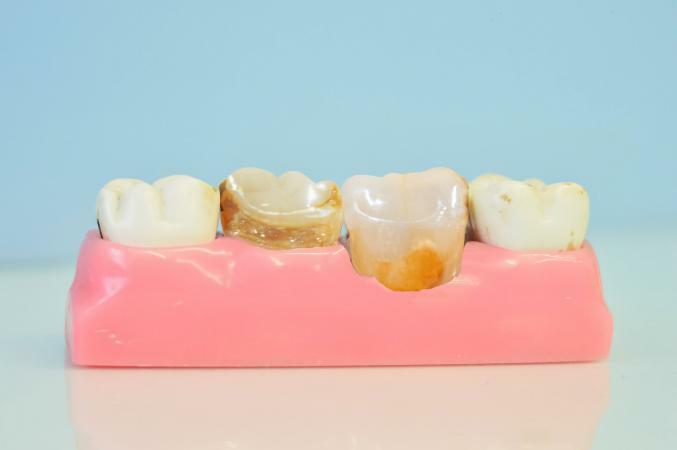 Teeth may be removed and the patient fitted for dentures or partial dentures. People who are concerned they may have meth mouth can stop the progression of this condition by stopping their drug use. Meth users should be encouraged to drink eight to ten glasses of water daily and avoid soft drinks or other sweetened beverages. Practicing good oral hygiene by brushing and flossing regularly and seeing a dentist will also help to lower the risk of developing meth mouth.